If you've got solar or wind farms, head to Tennessee. The TVA wants to rapidly buy up capacity for renewable power. Attention power providers: The Tennessee Valley Authority wants to talk. 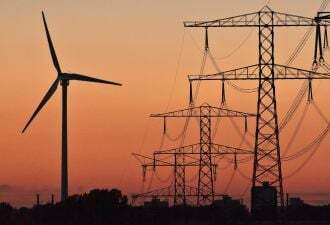 The TVA is seeking proposals from clean energy power providers to help it deliver 2 gigawatts of renewable energy in about two-and-a-half years. Under the plan, the utility made famous during the Great Depression wants 1 gigawatt of clean energy delivered by June 1, 2009 with 500 megawatts added a year later. By June 2011, it wants all 2 gigawatts in the ground. The utility serves 9 million residential and commercial customers in seven states. The TVA doesn't want to own renewable energy equipment under this deal, but wants to buy power from those that do. The utility wants to get more than 50 percent of its power from low-carbon sources such as solar, hydroelectric and nuclear by 2020. The 2 gigawatt proposal, however, only seeks bids from companies providing renewable power such as solar, wind, geothermal or tidal. It does not include nuclear. Thus, in terms of pure renewables, this is a big contract, even though it will likely be fulfilled by several power providers. The large solar thermal plants in California are generally under 1 gigawatt. The solar PV plants in the state, like the one being built by High Plains Ranch (a subsidiary of SunPower) are around 250 megawatts. T. Boone Pickens said earlier this year he would develop a gargantuan 4 gigawatt wind project in Texas, but has since scaled the project back due to financing issues. Big contracts like this, of course, are what power providers live for. SunEdison, one of the biggest in the country, signed a deal to provide Duke Energy with 16 megawatts of solar power earlier this year. (Duke has scaled back other solar projects since then however.) Proposals are due Jan. 16, 2009.